Georg Friedrich Händel was born in Halle, Saxony-Anhalt in 1685 the same year as both Johann Sebastian Bach and Domenico Scarlatti. He displayed considerable musical talent at an early age; by the age of seven he was a skilful performer on the harpsichord and organ. In his early career he played the violin and harpsichord, and composed prolifically. In 1710 he took up the prestigious post of Kapellmeister to the Elector of Hanover, who, in 1717, became King George I of England. 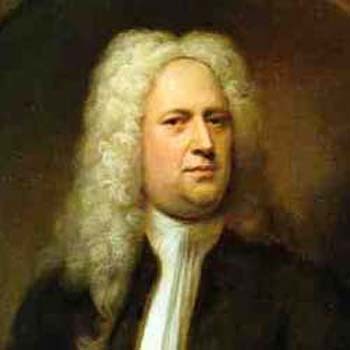 King George sought to increase his personal popularity in England by staging elabourate parties and events, and Händel proved to be the perfect composer to support these activities. The Water Music was premièred on 17 July 1717 at a concert on the River Thames. Fifty musicians were assembled on a barge, which travelled from Whitehall to Chelsea and back, alongside the royal barge on which King George I entertained his guests. The music was not played in a fixed sequence. The quieter movements were played when the barges were close and the louder movements were played if the boats drifted apart. The King was so delighted with the music that he requested it to be repeated twice during the trip. Sir Herbert Hamilton Harty (1879-1941) arranged six movements of the water music for modern orchestra. His version omits the high baroque trumpet parts and includes clarinets which did not gain acceptance as orchestral instruments until near the end of the eighteenth century. It was published in 1922 and has remained a popular version ever since. The suite from the Water Music was performed by the combined Portobello and Antoniterkirche orchestras on the 23 October 2010, conducted by Anthony Weeden.